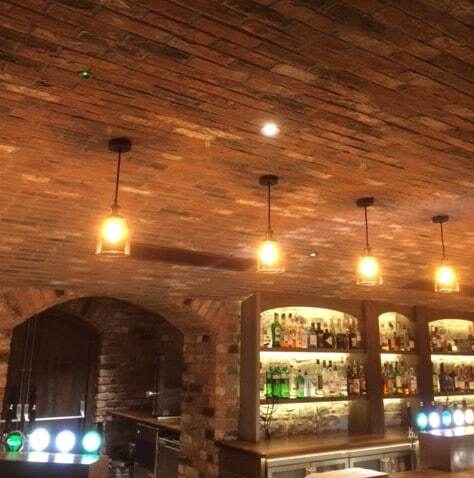 Thanks to our customer Bally Magarvey we can show you our ceiling brick slips used to construct a vaulted ceiling in a wedding venue bar area. 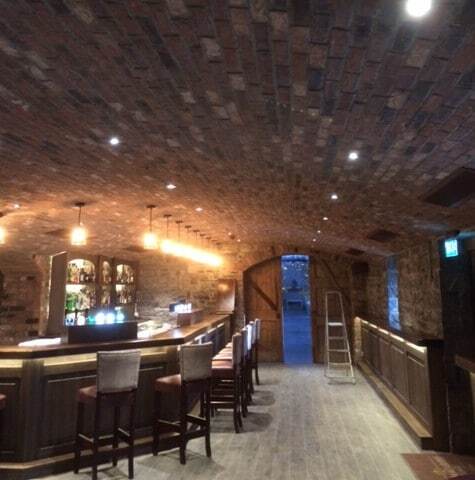 BallyMagarvey has used our clay new reclaimed brick slips as ceiling brick slips in the bar area of their wedding venue. They not only used them on the walls but extended the project using the slips to cover a vaulted ceiling. I think you can agree from the photos on this blog that they completed the project extremely successfully. I was looking online for different reclaimed effect or real reclamation brick slips our project. We really wanted an exposed brick wall look so brick slips came to my mind and I found Higgins Cladding’s online store. As for our experience ordering with Higgins Cladding the product was ideal and we were pleased with the costing given. 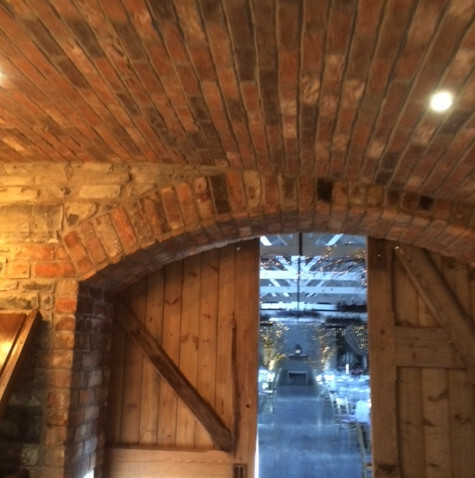 Our ceiling brick slips have been sourced from award winning brick works. We purchase full size bricks manufactured by master brick makers and then get them cut down into brick slips, corner slips and header slips. The unmistakable reclaimed effect design allows for a variety of architectural styles, whether it be a living room, dining room, office or exterior facing. A new reclaimed brick slip works well in both classical and modern arrangements, creating a unique atmosphere anywhere they’re installed. Our cladding products have the convenience of easy installation, large ranges to choose from and the benefit of huge cost savings. Higgins The Cladding Store caters for different tastes and creative minds. Providing excellent durability and low maintenance, new reclaimed brick slips are ideal for renovation projects and are easy to fit and point. Suitable for a wide range of external and internal wall insulation systems, clay brick slips also offer an easy way to transform or improve the look of any wall.